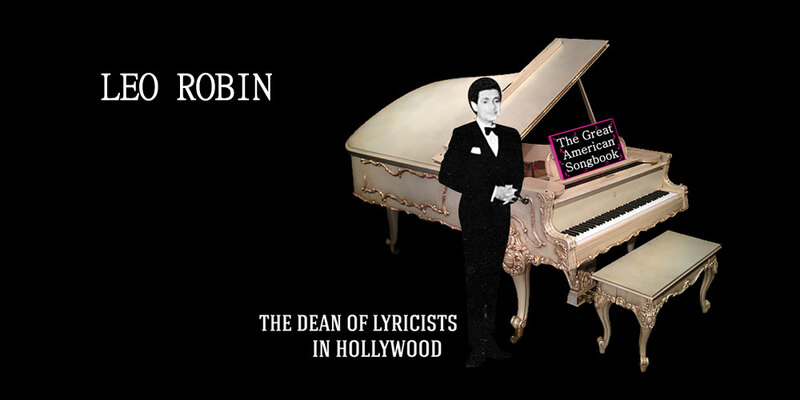 The Silver Screen & The Great White Way is a comprehensive list of all the works created by Leo Robin from nearly 200 movies and a great many Broadway shows, as well as television programs among other works. To access a select list of the films with the most acclaimed songs, historical significance and interesting details, click here: Favorite Music Films. 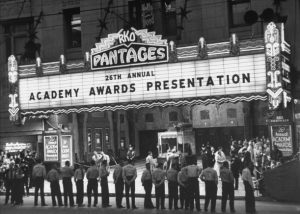 Leo Robin was nominated for Ten Best Song Academy Awards including, in 1953, for “My Flaming Heart” that was featured in Small Town Girl. 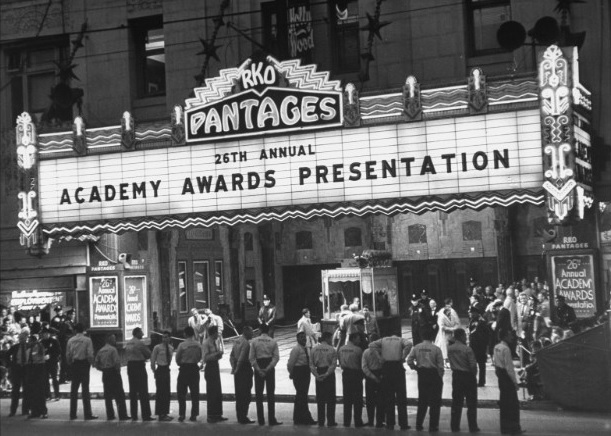 In 1938, he won the Oscar for “Thanks for the Memory.” For a complete list of awards and honors, click here: Awards & Honors. 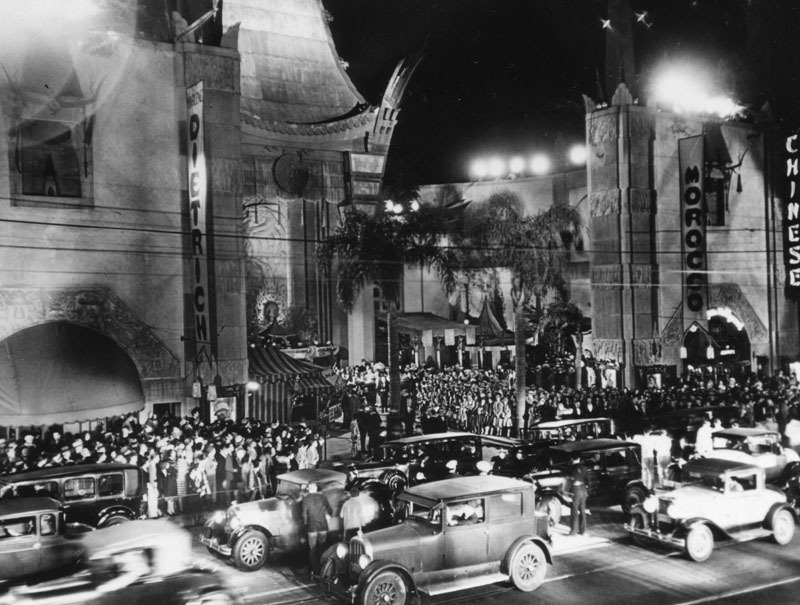 Premiere of “Morocco” starring Marlene Dietrich and Gary Cooper at the Grauman’s Chinese Theatre. 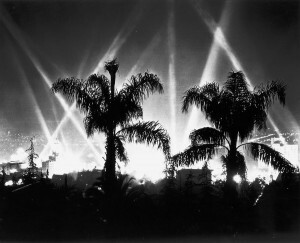 Night view shows theater lights and throngs of fans packing the streets for blocks around Grauman’s Chinese Theatre. 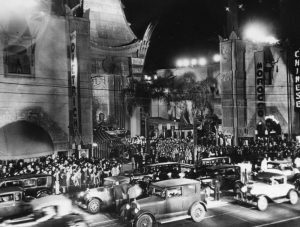 Publicity of Hollywood premiers usually brought stars and other distinguished visitors to magnificent events such as the one seen here. To access a select list of the films with the most acclaimed songs, historical significance and interesting details, click here: Favorite Music Films. National Academy of Recording Arts & Sciences made it known that Bob Hope and Shirley Ross’ recording of “Thanks for the Memory” (Decca, 1938) was inducted into the Grammy Hall of Fame in 2005. The Hall was founded in 1973.